So I'm sitting in the kiss & ride line with my kindergartner, waiting for her older sister to come out of school, and we are reading a bunch of new books that I checked out of the library. 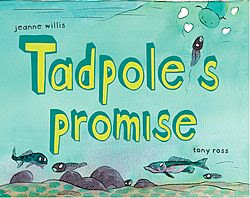 She looks through the stack and chooses one called Tadpole's Promise. It looks cute - and she is delighted by the way the book opens vertically, instead of horizontally, like a wall calendar. The story is about a tadpole and a caterpillar who fall in love. Cute, right? The caterpillar has colorful stripes, and the tadpole calls her his beautiful rainbow. The tadpole is shiny, black and round, and the caterpillar calls him her sniny black pearl. She asks the tadpole to promise never to change, and he foolishly promises not to, only to anger her as each of his legs appear, and his tail disappears. She goes off in a huff and turn into a chrysalis, and when she emerges, everything has changed. So she decides to forgive the tadpole, but she can't find him. She flies down to ask a frog (aka her beloved tadpole) on a lily pad if he's seen the tadpole, and GULP! He eats her. Then he sits there wondering what happened to his beautiful rainbow - and he'll never know. Yes, to an adult reader, that is pretty funny. I went over to Amazon to see the reviews, and on the whole people loved it - all the adults, that is. It's a great book to give someone who's getting over a break-up, people write. I'm sure it is. When I turned the page to the quite graphic illustration of the frog swallowing the butterfly, her wings sticking out of his closed mouth, I quickly closed the book as my daughter began to wail. Her face crumpled up, and she cried, "Mommy! I don't like this book! This is a terrible story!" I felt awful that I hadn't flipped through it before reading it to her, but it seemed so cute and innocuous. The book itself proclaims it is for readers 4 - 8. Honestly, I would love to send that author on a promotional tour of preschools where she could do readings and take the fallout. Not that all books for children need to have happy endings. We read a lot of books together, and I don't screen them for happy endings or anything like that. But this one? What is the point of that? Don't date outside your social circle, race, culture? It seems pointlessly cruel, and unlike other books with unhappy endings or elements, there wasn't anything I could hold onto to try to explain it to her, to help her make sense of it in any meaningful way. This happened on Thursday, three days ago, and she is still upset about it. I don't understand the need for a story like that. Not for such young children, at any rate. Hmph. I actually love this story, I teach children ages 5 and 6..I dont read from the book, but tell the story. The kids absolutely LOVE it and ask me to tell them the story all the time. In my opinion, if a story can affect a child so young, so strongly, then its a worthwhile story, I am pretty tired of useless stories that teach children nothing ("they got wet"? so what? ), fairy tales are beautiful, but if you look for the deeper meaning then they too are pretty dark and awful, take Hansel and Gretel..two kids, abandoned...cannibalism..throwing someone into an oven? Stories are meant to leave people with a feeling, if your little one hated it..then woopie..at least she felt a real deep emotion, keep reading worthwhile books to her, and like me, maybe she will grow up with a real passion for stories...stories shape us and how we percieve the world around us, rather than giving us a fantasy of how the world really is! Fairy tales were not originally told with children as the audience, which is one of the reasons for the disturbing content. Even so, Hansel and Gretel is, to me, a story of hope. 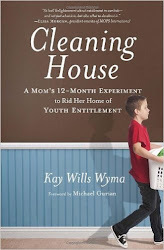 Yes, parents can be abusive, and adults can be untrustworthy. But siblings can stick together, use their wits, and save themselves from an intolerable situation. If the witch had simply eaten the kids at the end, I'd have a different opinion about it. 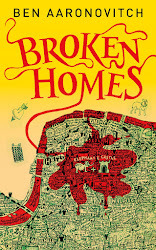 I like your take on the power of story - my little daughter certainly did feel a powerful emotion from the story, and it is indeed a wonderful thing when a book is effective in evoking a strong emotional response. Thanks so much for stopping by my blog and taking time to comment! I think the lesson in the book, is that everyone changes, and you have to learn to accept people as they are, and also accept the changes that they go through, the experiences and growth that shape who we are as individuals, you shouldn't try to change someone, or stop them from growing and going through changes that are a natural part of life. In the story both the tadpole and the caterpillar try to stop the person they love from growing and changing, which ended badly for both of them...ok this might be a bit of a strong point for children so young, but alot of the stories I read to myself as a very young child I didn't really understand, but the most powerful ones stayed with me, and as I grew and changed I remembered those stories and the message behind them. As for why the children in my classes seem to enjoy the book..who knows? maybe its just in the way I tell it, maybe they just love the way it makes them jump at the end when I kind of snap that last line out..or maybe the little monkeys just love an ironic ending. I like your take on the book, and that your kids love it (although that is incredibly surprising to me, I have to say). I think what upset my daughter and me the most is that the frog killed the thing he loved the most, and right at the moment when the butterfly had had the epiphany that yes, it was all right to change, that change was acceptable, could be welcomed (a lesson we all need to learn on occasion). The epiphany came too late, the frog killed his best friend/girl friend, and the book ended there. I still think it's harsh! But of course that's why it is such fun to discuss books - if we all had the same opinion of them, it would be awfully boring! My favorite book about change is Little Bear's Little Boat by Eve Bunting. There should be a link from the sidebar if you haven't heard of it and want to know more. Thanks for weighing in - it was fun to talk about this book with you! Good luck with your little monkeys - they sound like fun!